As we posted before, the only camera to be announced in 2017 will be Sony RX100 VI compact camera, it is likely to be announced on October 25th at PhotoPlus 2017. So where are long rumored Sony a7III, Sony a7SIII, Sony a9S and new FE lenses ? According to our source, Sony has delayed release of these new full frame E-mount products, instead, they will be announced in 2018. Source said that the Sony a7III is rumored to be announced in early 2018 along with one or two new FE lenses (FE 135mm and FE 400mm). And Sony a7R III and a7S III will coming in the second half of 2018, around Photokina 2018. 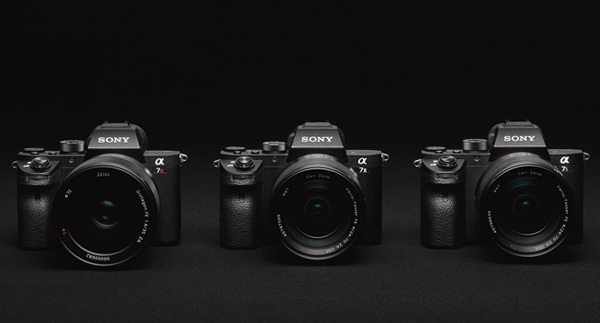 Get instantly notified by e-mail when Sony a7III is Available for Pre-order ! Sony RX100 VI to be Announced on October 25th ? Do you know any new Sony FDR action camera coming out? This site is nothing but just guesses isn’t it? A new RX10 came out and the Riii came out and it’s still 2017. A new RX100 has NOT been announced. Yeash.